Overall, I give NaturaBest Advanced Probiotic a 3.5 out of 5 stars because I like it more than the average probiotic. It has some great qualities to it. 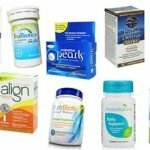 While taking this supplement, I noticed that my IBS symptoms improved, such as with constipation and bloating. 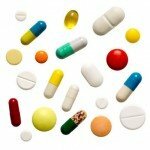 It’s also simple and easy to use because you just take 1 capsule daily. This probiotic is suitable for vegetarians, which is a perk! It’s formulated to survive stomach acid and start working once it gets to your digestive tract. 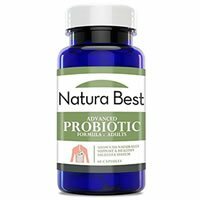 NaturaBest Advanced Probiotic has a good blend of probiotic strains. It also lists the cell counts for each of the strains used, which I really like. It’s very affordable and $20 can last you 2 months worth of probiotics. They only use a few ingredients and leave out all the unnecessary junk and additives that we don’t need. The company also offers a 100% money back guarantee! There are just a few things to keep in mind. First, it’s specifically made for adults, so it’s not safe for kids to take. Second, the cells are only guaranteed at the time of manufacture. Last, you may need to refrigerate this probiotic to maximize potency and shelf life. Overall, I like this probiotic and think it has some good things to offer. Each capsule of NaturaBest Advanced Probiotic contains 5.06 billion cells in 7 probiotic strains. I really like that it uses Lactobacillus acidophilus in the probiotic lineup. This is a personal favorite of mine and it seems to be the most helpful with relieving my Irritable Bowel Syndrome (IBS) symptoms. This strain been researched quite a bit in studies and is frequently used in probiotic supplements. 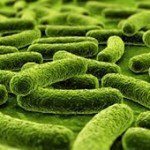 Lactobacillus acidophilus has been shown to potentially relieve the symptoms that come along with Irritable Bowel Syndrome (IBS), Crohn’s disease, and gut dysbiosis, such as gas, bloating, and constipation. It also may boost immune function, reduce urinary tract infections (UTIs), treat yeast infections, and prevent traveler’s diarrhea. Bifidobacterium longum has anti-inflammatory properties, which may help protect your immune cells so they can mature and function optimally. This strain may also help lower cholesterol levels and reduce seasonal allergies. NaturaBest Advanced Probiotic contains milk. This is due to the lactose fermentation process. Other than that, it doesn’t have any additional allergy concerns listed. The other ingredients include: vegetable cellulose, magnesium stearate, and stearic acid. For a bottle of 60 capsules, lasting 2 months, it costs $19.99. That works out to only $0.33 per day to take this probiotic. It’s actually cheap compared to many probiotic supplements. I think it’s a great value for the price and I would buy this product again. I didn’t see any negative side effects when I was taking NaturaBest Advanced Probiotic. I was super happy about this! 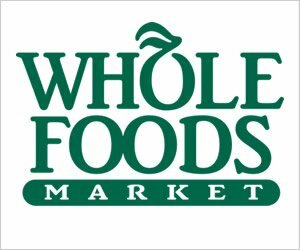 I actually felt really good and it helped with some of my IBS symptoms like bloating and constipation. It’s also a good range of strains and amount of cells for a daily probiotic that isn’t too potent, which often leads to some side effects. On the NaturaBest website, they offer a 100% money back guarantee. If you aren’t satisfied with your results, simply send it back! I love guarantees like this and when companies have confidence in their product. It doesn’t state a time frame either, so I believe it’s just at any time you decide. You can also email their support team and ask for any specifics regarding the guarantee. To buy NaturaBest Advanced Probiotic, click here.